Today is a day of remembrance. The children have been learning about and creating poppies for Armistice Day. 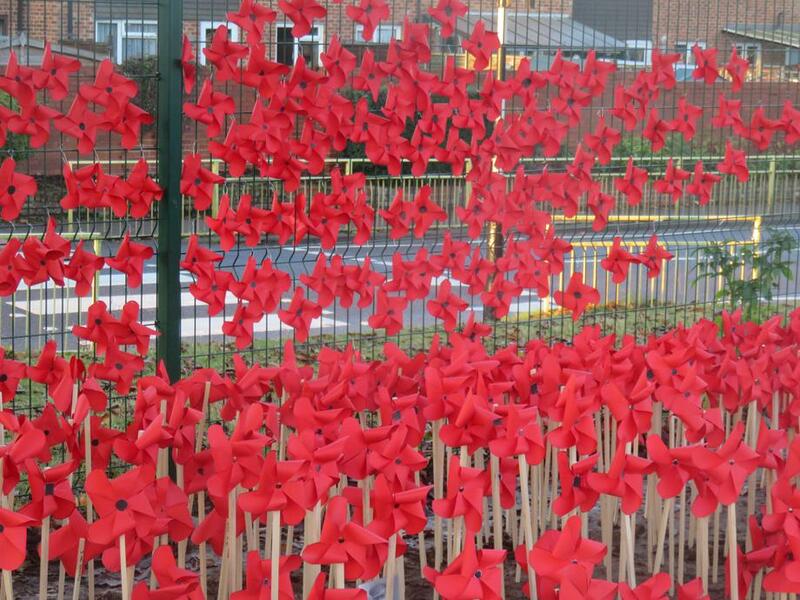 Visit our Gallery page to see just some of the activities they have participated in and our Poppies. The Christmas Fair is fast approaching (26th November). Please remember to bring bottles next week and cakes the following Friday. Volunteers are needed to help make this event a success. Please sign up on Face Book or on the clipboards in the office. The Christmas Cards that your children have created will be sent home today. To guaranteed delivery in plenty of time for Christmas please return your orders to the school office by Friday 18th November. Cash or cheques made payable to Colney Heath PTA. The School Council are currently choosing what they would like from the funds raised to go in the empty area at the front of the school. They are also continuing to collect for The Hedgehog Lady of London Colney who rescues hedgehogs in the local area, but has no funding and relies on donations. Fleece blankets, puppy or dog food (dry or tins) and newspapers are all welcome. Box for collections is still in the front entrance of the school.